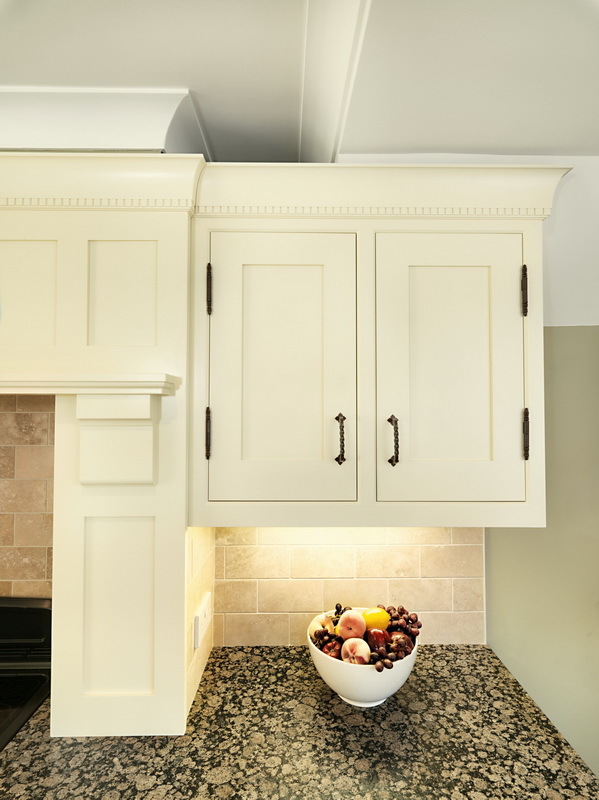 This kitchen uses striking wrought iron pull handles and finial hinges finished in bronze. 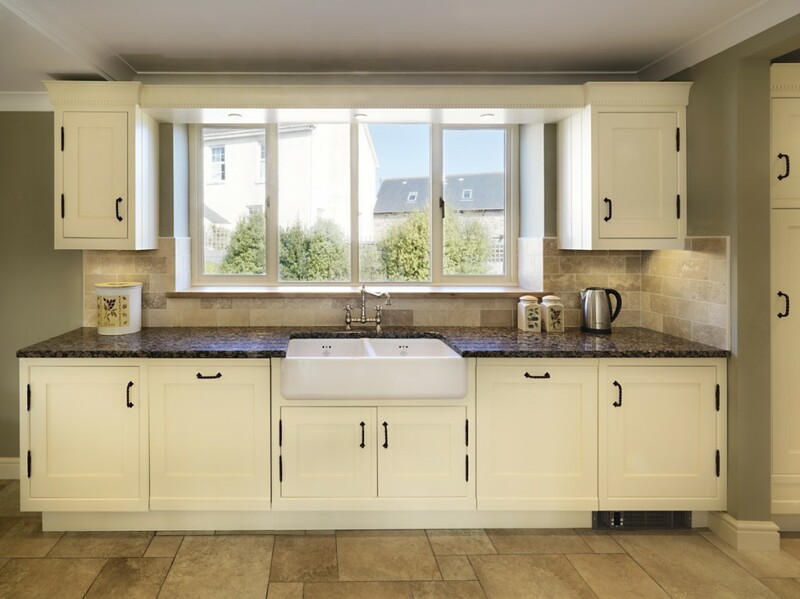 The medieval feel created through the use of a pale shaker style design combined with contrasting features is authentic and original while fresh and spacious. 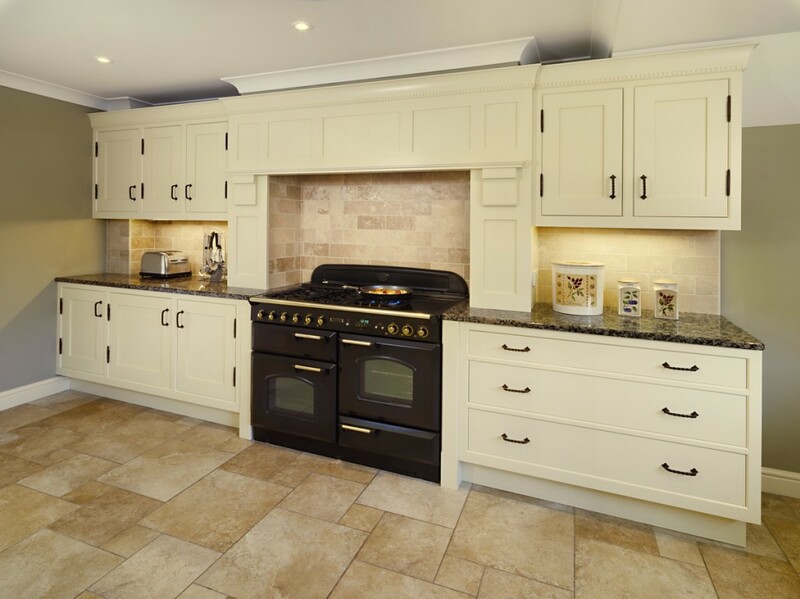 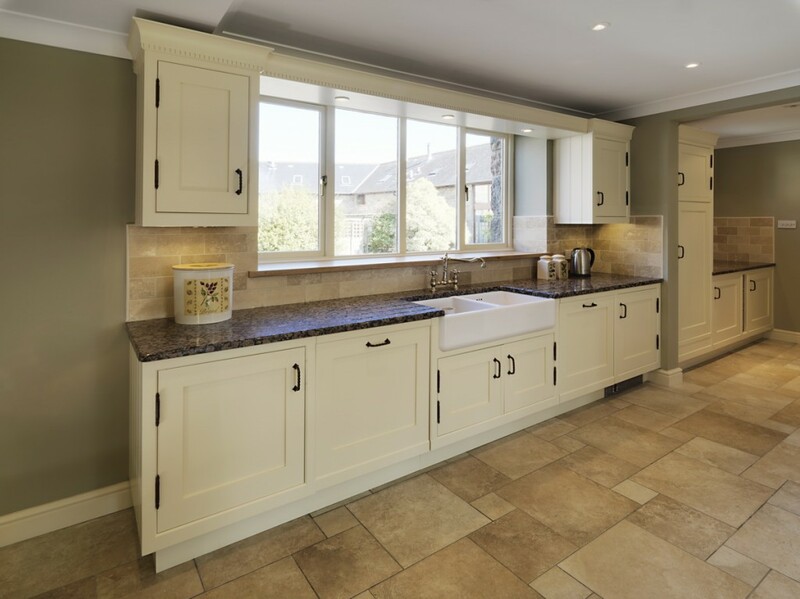 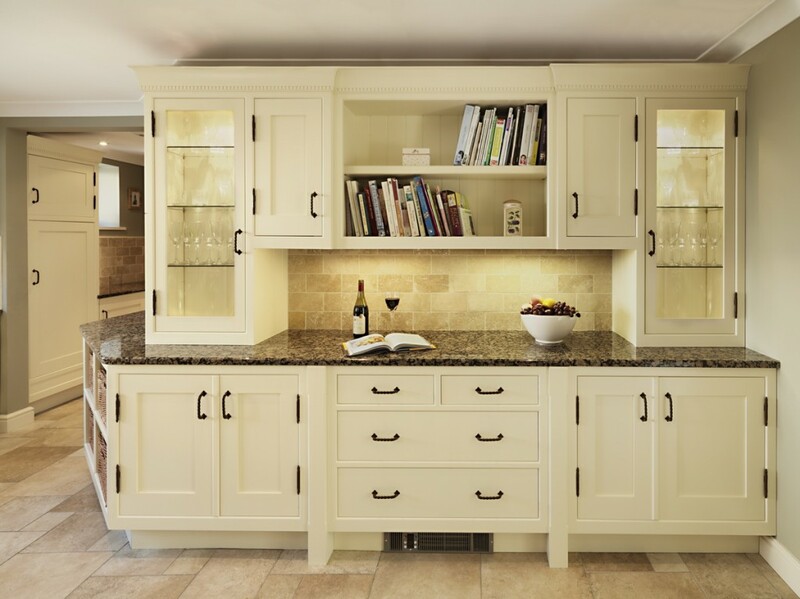 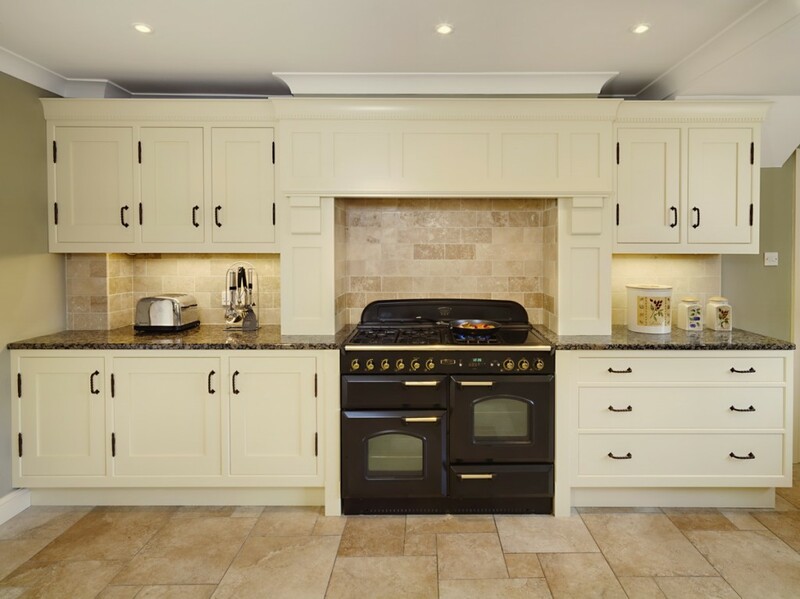 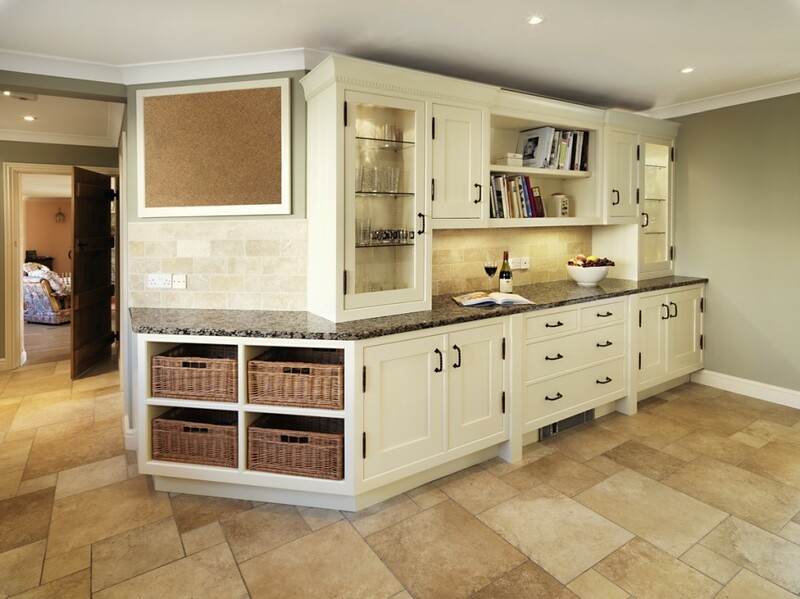 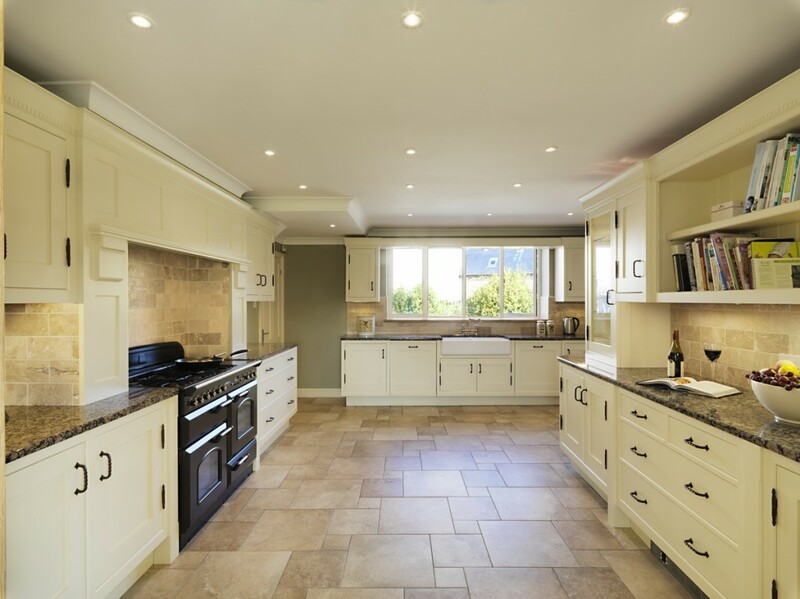 Designed to be the centre piece in a spacious barn conversion, the kitchen shown here has a dentil cornice and natural stone wall tiles finished in a block work pattern which accentuates the era the collection portrays.